So why is your body hanging on to this excess water, and what can you do about it? Your body needs water to survive, but when you put toxic matter into it through unhealthy food, drinks, and drugs, your body takes on extra water as a way of diffusing the damage those poisons do and keeping the body in balance. The best example to explain this concept is common table salt, a toxic substance that which causes the body to retain large quantities of water. "Baaa!" you might say. "I've been eating salt for years and it doesn't hurt me." But it does. Stop and think. Ever see what salt does to a slug? It melts it. Ever get salt in an open wound? It burns. You've probably read or heard about what happens to those who try to drink large quantities of salt water when there's no fresh water around; they die. Processed table salt is not something that gets along with our bodies, and when we insist on eating it our body uses water to maintain an equilibrium. We rely on electrolytes (such as sodium and potassium) to carry the electrical impulses that control our bodies. If we want those impulses to trave properly, a certain ratio of water to electrolytes must be maintained. When you eat salty foods, you're giving your body way more sodium than it requires, and so it starts retaining water (and making you thirsty to get more water) to balance things out. Of course, there is a big difference between sodium chloride, the stuff that can kill you, and the naturally occurring sodium and other salts that can be found in vegetables like celery. You should eat a variety of vegetables to provide the organic salts and other minerals the body needs in the right combinations. A thin person might be storing 5 pounds of excess water weight, and a severely obese one might be lugging around 30 to 60s pounds. A mere quart of water weighs a pound, so getting rid of just a little can mean a massive loss in weight. Learn more about salt and how to safely incorporate sodium into your diet. Also, if you're wondering if you can get enough sodium through whole foods to meet the government-supported RDA, take a look at this page. A wide variety of drugs, such as the beta-blockers used to treat high blood pressure, birth control pills, antiinflammatory drugs, and those containing estrogen often cause water-retention. If you're on these drugs you may think they're necessary, but drugs never cure a disease, but only treat its symptoms. If you choose to eat a healthy diet and live a healthy lifestyle which precludes disease, you can get off the drugs. 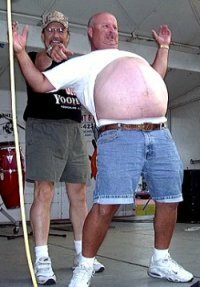 There's not trick or pill to cause water weight loss; The only way to get rid of it is the stop causing it. When you stop eating toxic foods, particularly those high in salt, you'll start shedding your body's stored water at a remarkable rate. Stop putting in unhealthy toxic foods and beverages and your bodies energy will be freed up for house cleaning. The liver and kidneys can then clean out your body, and the liquid used to dilute toxins can be shed. So what exactly is toxic? Cooked, denatured, processed, and "spiced" food are the most common problems. Switch to the foods that your body was meant to eat. Your diet should be one of raw fruits and vegetables. This is what our species ate for millennia, and it's still the most perfect diet we can have. For more information on adopting a healthy raw vegan diet, read my article on the topic here. Learn which foods are healthy and which you should avoid. 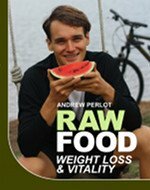 Lose water weight and fat quickly with a book that will get you on a healthy raw food diet.